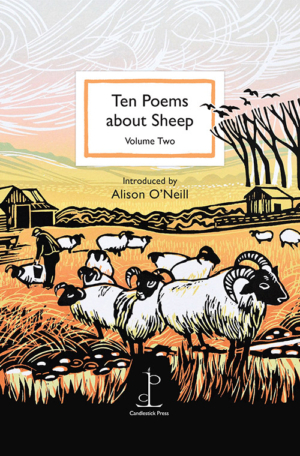 This is our second mini-anthology of sheep poems. Sheep are such a familiar feature of our rural landscape that most of us pay them little attention. Even less visible to the outsider’s eye is the year-round work of shepherds who look after their flocks through the changing seasons. Poems by Alfred Brendel, Jim Carruth, John Clare, Nicola Daly, Eugene Field, Hannah Lowe, Hugh McMillan, Carl Sandburg, Susan Taylor and Siriol Troup. Cover illustration by Rob Barnes. Donation to Rare Breeds Survival Trust.